Questions? Read on for our most commonly asked questions on buying tickets and what you need to know on the day of your experience below. Not what you're looking for? Send an email to info@thegameisnow.com and we'll do our best to help. The low down: how does the game work? Can I book for less than four people? What is a public booking? Can I add more players to my booking at a later date? Will I be playing with anyone else? Is the game accessible for everybody? What safety precautions do you have in place? Will I actually be “locked in” a room? Do I have to be able to speak English? I'm pregnant! Can I play? What can I do with my belongings? 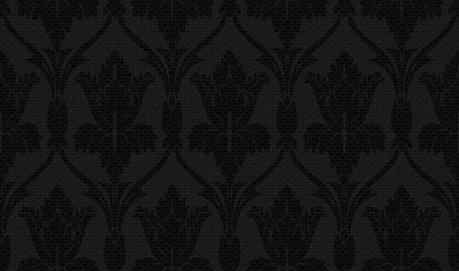 Sherlock: The Game is Now is an immersive experience like no other. Arrive precisely at your given time slot and journey through environments inspired by the hit show and designed especially for the escape room format. The experience lasts 100 minutes - and we can book teams of 4 to 6 people across 3-5 rooms simultaneously. So, what are you waiting for? Assemble your dream team and go on an adventure you won't forget. Anybody (over the age of ten) can play – families, friends and fans alike, although young people under the age of 16 will need to be accompanied by an adult. Please note, this means babies in prams or slings are not allowed. You do not have to have watched the original Sherlock TV series to come and have an amazing time! Looking to make a booking for 20 or more people? Please see our large bookings page here and send an email to info@thegameisnow.com for more information on our bespoke group packages. Sherlock: The Game Is Now is an immersive experience for 4-6 players, if you wish to play the game exclusively you have to book at least 4 players. However if you have less than four people you can purchase tickets for our Public games. This is great if your team is made up of less than 4 people and you are happy to play Sherlock: The Game Is Now with other people. Players looking to meet other people to form a team with should join our private Facebook group Sherlock: The Game Is Now - Find a Team. Please note: The minimum number of players for a game to go ahead is four people. If you have not managed to meet the mandatory minimum number of players one week before you are due to play then the slot will be cancelled and you will refunded. Sherlock: The Game Is Now is an immersive escape game for teams of 4 to 6 people. Public Bookings allow you to purchase tickets for individuals or smaller groups of two or three people and team up with other individuals or small groups to form a full team in our public bookings. Can I add extra players at a later date? Yes you can. Simply email info@thegameisnow.com and our customer service team will send you a payment link to book in your extra player. If your game is less than 24 hours away, then let our team know when you arrive and we can take the payment then. Pricing starts at £54 per person – for a full list of our booking options, check out our tickets page here. When you enter the venue you may well see and meet some people that you do not recognise, other members of the Network most likely. However once the game begins, your group will be going it alone on their adventure. Note: If you have booked tickets for a Public Booking, you will form a team with the other people who have booked a public ticket. Due to the complexity of the challenge, the game is open to children over the age of 10 with adult supervision and 18+ without supervision. Players between the age of 10 and 18 will need an adult to sign a waiver on their behalf before playing the game. Sherlock: The Game is Now aims to be accessible to all, however due to the nature of the experience please call or email before you book to ensure we will be able to accommodate your specific requirements. The safety and security of our customers and staff is absolutely paramount and so we have done everything possible to ensure our venue meets all possible health and safety guidelines. General venue - the venue is fitted according to all the latest building and fire safety regulations, using safe materials, and equipped with fire monitoring, alarm and emergency lighting system, and sprinkler system. All electrical equipment is tested and safe to use. Fire monitoring and alarm system – the venue is fitted with heat and smoke detectors, alarm sounders and sprinklers in all areas, including all game rooms (and emergency call points spread across the venue according to regulations). The system is maintained regularly and tested weekly. Emergency routes - all fire doors and routes, as well as portable fire extinguishers, are clearly signposted. In case of power failure, emergency lighting system will keep ambient lighting on across the venue, including all game rooms. Staff training – our venue team is briefed on emergency procedures, and will assist customers in case of evacuation or other emergency. If you have any concerns about any safety aspects of the experience, please don’t hesitate to email us at info@thegameisnow.com. Will I be actually “locked in” a room? Doors will automatically shut behind you but if you need to exit for any reason, we will of course let you out. Our game rooms are equipped with automatic doors that lock while in game state but automatically open in case of an emergency and can be easily pushed open in case of major power failure. Sherlock: The Game Is Now requires a basic level of English comprehension, you do not need to be fluent, but you must be able to read and speak English to a good standard. If you have any questions then email info@thegameisnow.com. Firstly, congratulations! Naturally, you play at your own risk, but there is nothing in the experience that should cause concern. Please keep in mind there are a number of instances where you will not have anywhere to sit down as well as some periods with low lighting, so please do tread carefully. Any further questions or concerns please get in touch with us directly on info@thegameisnow.com. Due to the nature of Sherlock: The Game is Now’s design and staffing, we are not able to facilitate intoxicated visitors. If you are visibly inebriated, you will be refused entry or your experience curtailed. In a similar fashion, if you are disruptive, unruly or present a threat to our environments or staff we will be forced to terminate your adventure. Sherlock: The Game is Now is a ticketed, live event. Once a booking is confirmed, refunds, cancellations and reschedules are not possible. In addition, latecomers will not get a refund or reschedule: much like a theatre show, the show continues with or without you. 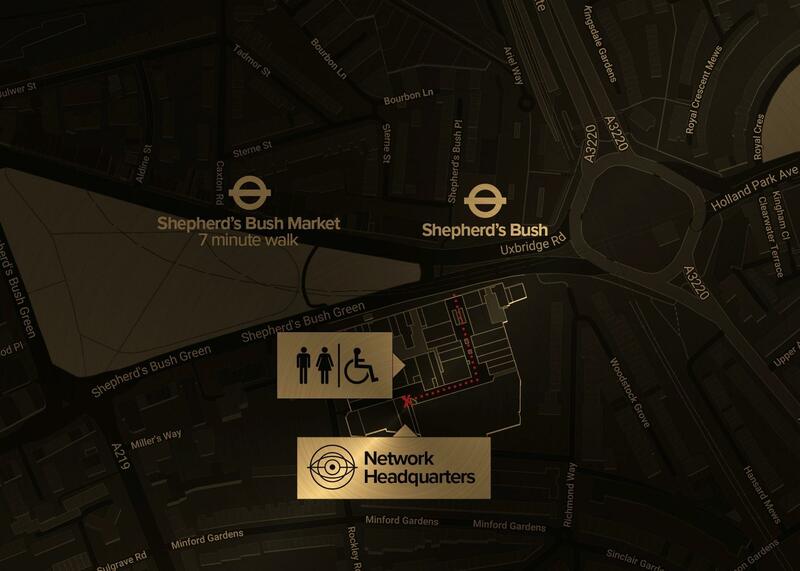 Our Network Headquarters can be found hidden in plain sight on the ground floor of the West 12 Shopping Centre in Shepherds Bush, W12 8PP. Join us at Doyle's Opticians where your training mission will begin. Any problems finding us on the day, please call 07701384464 for assistance. Unfortunately, our timing is very precise. Just like a train or a plane, if you miss your timeslot, your experience proceeds without you - and you will not get a refund. If you are running late, please give us a call on 0770 1384 464 to let us know. Dress comfortably as befitting an active investigator. Unfortunately, this means high heels are not permitted. For your own safety, please wear flat shoes or you won't be allowed to play. Will there be somewhere to leave my belongings? You will be able to safely leave coats and bags in locked trunks throughout the game. Unfortunately we do not have the facilities to secure large luggage or suitcases. For nearby storage options there is a cloakroom in the Westfield Shopping Centre across the road. Click here for more information. There is 24-hour parking in the W12 Centre car park at a cost of £3 per hour or additional car parking at the Westfield Shopping Centre a short walk away. When buying a car park ticket please book for at least 2 hours to make sure it covers the duration of the experience. There is also limited on-street parking nearby, please check signage to see restrictions.